Since music and stoners go so well together, it’s no surprise that there are a lot of famous musicians who smoke on the regular. When you think about it, there’s a lot of genres of music that wouldn’t even be worth listening to without the influence of weed. The plant has helped shape some of the most successful artists of this time period (Snoop Dogg!!) and has most definitely played a part in the building blocks of entire genres. Snoop was mentioned already so we will start at hip hop. 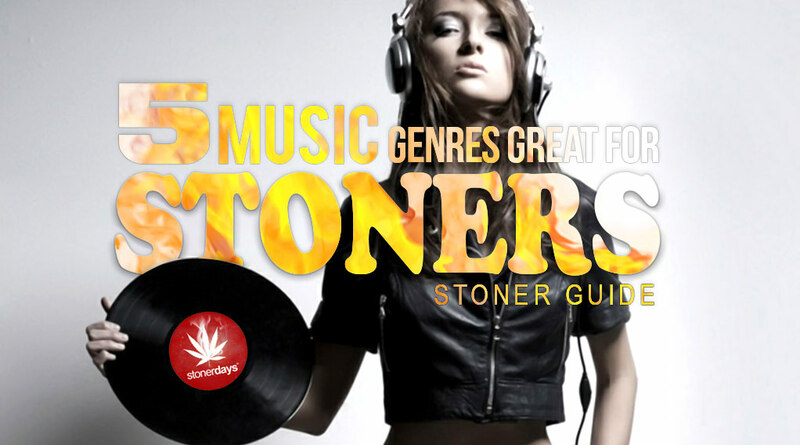 A great deal of this genre at least mentions cannabis and hip hop artists are certainly known to smoke some serious bud. Hip hop also makes for a great stoner music choice if you’re just chilling and smoking. Whether the beats are fast or slow, hip hop is something your smoking friends will appreciate on your playlist. It may surprise you that this genre is on the list but punk is another genre that is influenced by Mary Jane. Punks aren’t known for being chill so it’s a little shocking that they would write songs about pot. But NOFX had it’s song Herojuana and punk bands even had an impact on artists like Bob Marley, who wrong Punky Reggae Party after being inspired by the Clash. This just goes to show you the wide reach of cannabis. Pop music is still peppered with cannabis use to this day. Although, some of the pop genres most notable stoners were the Beatles, who not only were totally open about their use of cannabis and other illicit substances but wrote songs about their drug use, such as “I get high with a little help from my friends” and the infamous “Lucy In the Sky With Diamonds”. Of course, popstars today still smoke. Miley Cyrus is extremely open about her cannabis use and Justin Beiber has been caught with weed on numerous occasions. Opera being on this list is even more shocking than punk making the cut but here it is. While the old time opera singers had to preserve those pipes, the conductors could do what they wanted, such as Michael Tilson Thomas, a famous conductor that was known to smoke cannabis. He was arrested when he was found to be in possession of three joints and some other illegal substances. Rene Leibowitz was a famous French composer and created the piece titled Marijuana – Variations non serieuses. Today, modern day opera singers can indulge in edibles that will get them super stoned without damaging their vocal cords. Thank the opera gods for that. This list wouldn’t be complete without mentioned electronica. This strange form of music started blowing up in the 80s and has a history that is heavy with mind altering drugs. Electronica is known for it’s crazy rave parties so it’s no surprise that cannabis influences it. Cannabis even creates ties between music, such as when Skrillex and ASAP Rocky collaborated on Wild For the Night, a song that mainly focuses on (what else?) doing drugs and smoking weed. ASAP also claims to have smoked with Daft Punk but that’s neither confirmed nor denied.